Origin Extends through Atlantic drainages between New Jersey and Labrador to Arctic drainages, and the Pacific drainages as far south as Vancouver Island. Osmerus mordax is a fish species belonging to Osmeridae. The distribution is circumpolar and has been introduced to Great Lakes and it made its way to various other places. Trout, walleye and other larger fish prey on these smelt. Their diets prefer juvenile ciscoes and zooplankton such as calanoid copepods and other small organisms but will consume any fish they find. Rainbow smelt are anadromous spring spawners and prefer clean streams with light siltation and light flow. They face various barriers. Being weak swimmers, they could not overcome most fish ladders. It prevents making past dams to headwater streams where they spawn. In 1980s, rise in erosion and dams assist to decimate smelt population. Current plans helps to lower damming and assist in controlling erosion. These fish are found in Pacific and Atlantic Oceans. It is also called freshwater smelts or typical smelts in order to differentiate rom related Bathylagidae, Argentinidae and Retropinnidae. The smelt species are common in North American Great Lakes and seas or lakes of northern part of Europe where they move in large schools along saltwater coastline during spring migration to spawning streams. 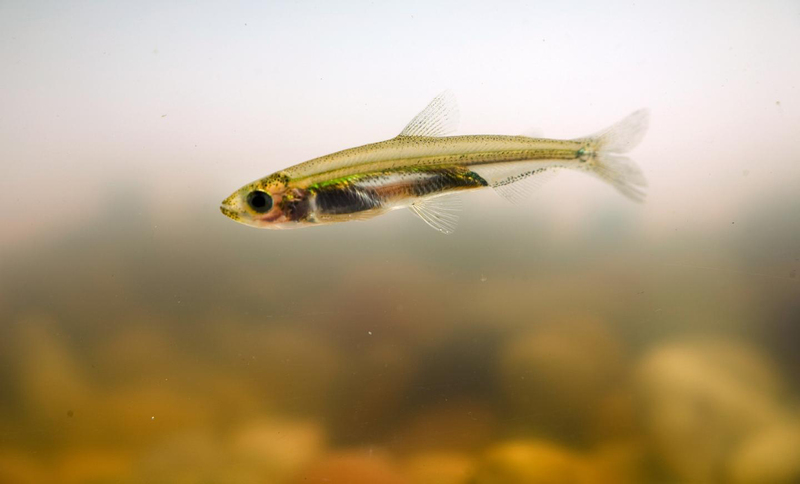 In recent decades, smelt populations have declined greatly in some western parts of United States leading to its protection under Endangered Species Act. 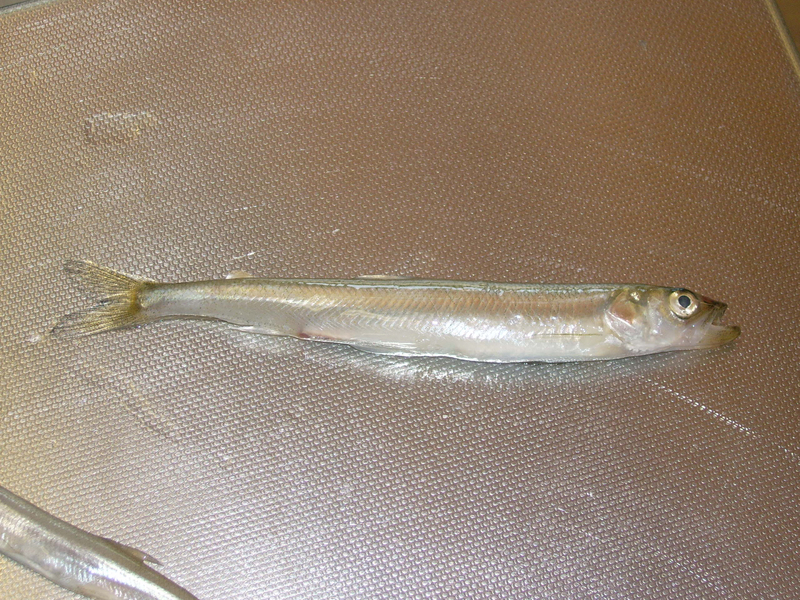 Smelt has elongate and laterally compressed body. Head is moderate with moderately large eyes and pointed or elongated snout. Mouth is large with protruding lower jaw extending to middle of eye. Especially teeth are enlarged on tongue or front of vomer. The body is pale green with purple, pink and blue iridescent reflections on side when freshly caught. The long and slender body has large, elongated and pointed mouth. It has strong conical teeth on jaws and tongue with low than 75 scales along lateral line. It has adipose fin. 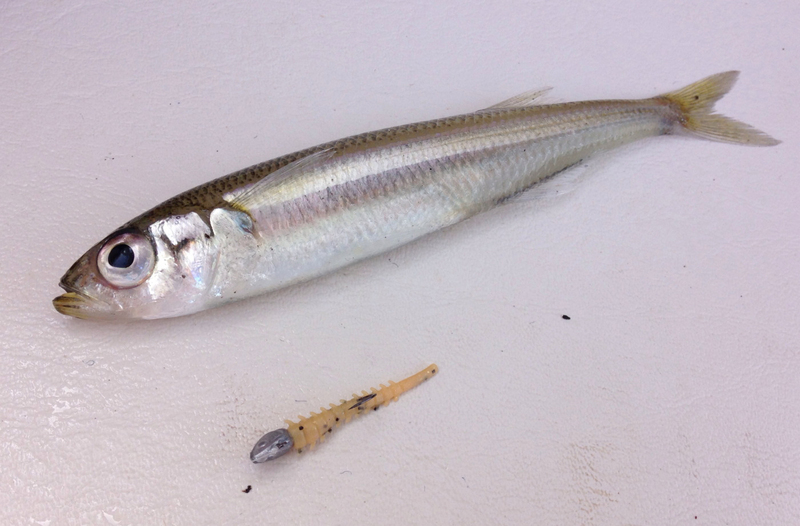 Rainbow smelt feeds on copepods, crustaceans, eggs, squids, fishes, worms and insects. B vitamins are essential for metabolic processes in the body for repair and growth of skin. Moreover, omega-3 fatty acids could lower inflammatory conditions on skin. 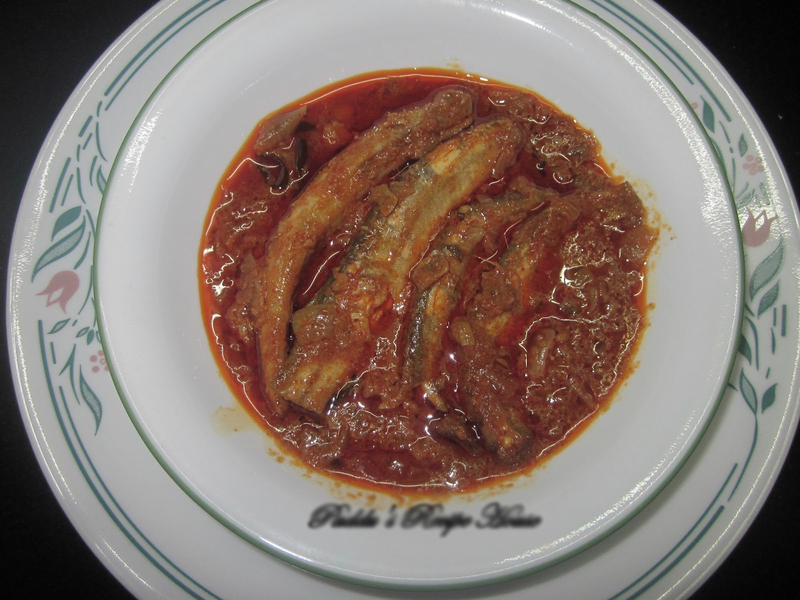 Smelt fish is rich in selenium which is an antioxidant that improves skin appearance and lowers signs of aging. The regular consumption of Smelt fish offers essential vitamins and minerals required for the hair to look healthy and feel healthy. It has omega-3 fatty acids and natural oils which is essential for improving luster or shine of hair by suppressing inflammation on scalp conditions such as dandruff. Phosphorus is a mineral in the body and is a critical element to convert nutrients into usable energy. A single serving of smelt fish grants 20% of daily requirement of mineral. It delivers nutrients and energy in cells efficiently. Calcium being electrolyte is a key part of signaling within nervous system. Smelt fish offers calcium that ensures muscle contractions and other messages within nervous system are effectively communicated. 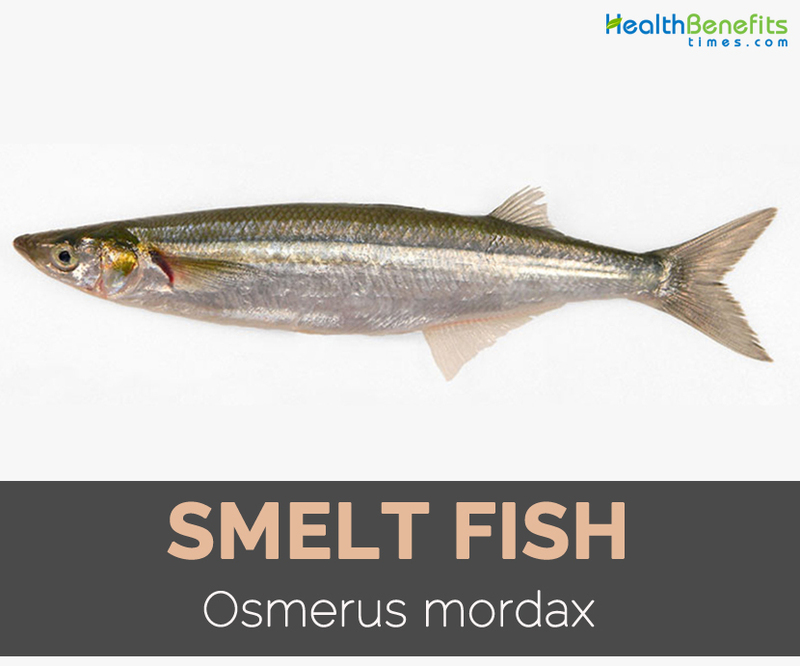 Smelt fish has moderate amounts of potassium and it acts vasodilator that means it could lower tension in blood vessels and arteries. It lowers the chances of atherosclerosis, strokes, heart attacks and coronary heart disease. All fats are not created equal and not all are bad for the body. Smelt fish has high content of omega-3 fatty acids that promotes cholesterol balance and heart health by lowering deposited plaque in arteries. This fish provides various minerals such as phosphorus, manganese, copper, calcium, iron and zinc which are associated to bone mineral density in the body. The bone density starts to decline as we ages so consuming fish with high content of minerals helps to lower early onset of osteoporosis. 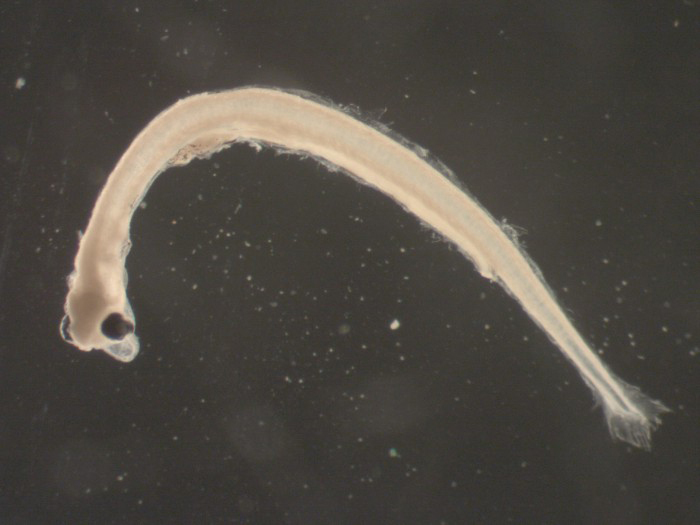 It has large amounts of selenium found in smelt fish. Each serving offers 45% of daily requirement. 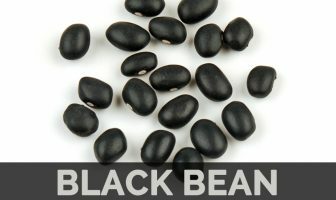 This mineral acts as a powerful antioxidant. It lowers oxidative stress in the body and lowers the chances of chronic ailments such as heart disease, rheumatoid arthritis and cancer. A serving of smelt fish provides 30% of daily requirement of protein. Amino acids in proteins could be reconstituted for production of muscle tissue and promote metabolism and supports weight loss efforts. It is consumed sautéed or fried. 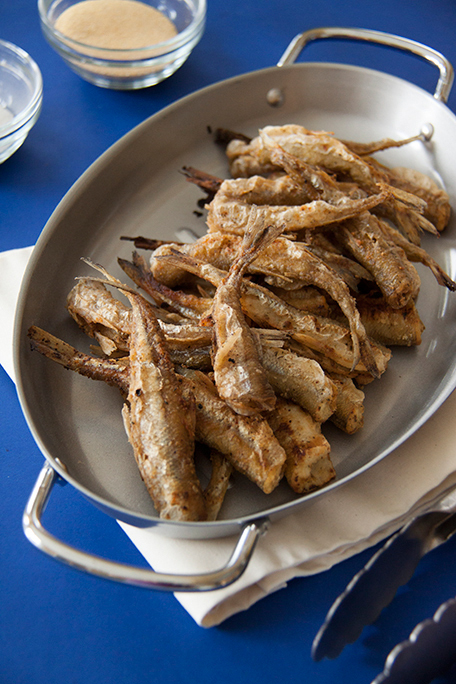 Pan-frying in butter and flour or deep frying in batter are the typical ways to prepare smelt fish. Smelt roe is used in sushi. Fried ones are added to curries. Roll it in breadcrumbs and deep fry. Preserve it by sun drying or steaming. During April spawning run, smelt swarm in millions. Native Extends through Atlantic drainages between New Jersey and Labrador to Arctic drainages, and the Pacific drainages as far south as Vancouver Island. Calories in 3 oz (85 g) 105 Kcal. Calories 105 Kcal. Calories from Fat 23.67 Kcal.